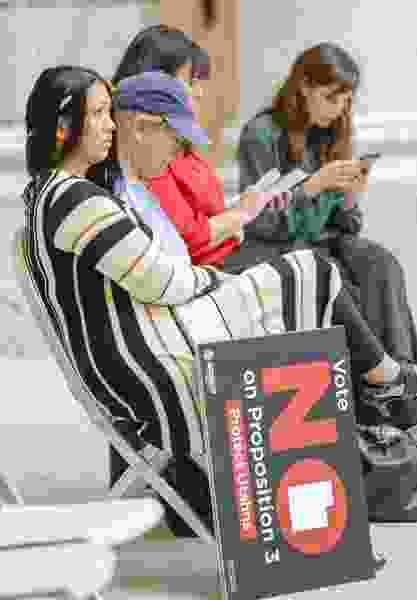 Leah Hogsten | The Salt Lake Tribune Mischelle Gray, a volunteer with Americans for Prosperity listen as speakers against Proposition 3 talk against expanding Medicaid in the state, Wednesday Oct. 17, 2018, in the rotunda of the state Capitol. UtahÕs Legislature has defeated past attempts at full expansion of Medicaid in the state. Set aside? In reality all the money that Utah taxpayers send to the federal government is already spent. In addition, the federal government has to borrow roughly a trillion dollars annually to cover all the expenses in excess of what it has already collected in taxes and fees. The $800 million estimated amount will have to be added to the money already being borrowed to cover the annual deficit. When the day arrives when servicing the national debt becomes unsustainable (which will probably be in the lifetime of most of us), reductions in money sent to the states to cover entitlement programs will have to be considered. One method that no doubt will be looked at would be for the 90 percent federal government share for the expanded Medicaid be scaled down to the 60 percent for traditional Medicaid. Utah residents will be on the hook to cover that cost. There's no free money.